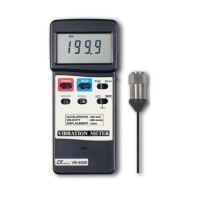 Categories: Digital Sound Lever Meter, Environment Meter, Environment Meter, Hand-held Tester, Humidity Meter, Humidity Meter, Light Meter, Lutron, Lux / Light meter. * Tiny bone shape with light weight and small size case design are suitable for handling with one hand. * Low-friction ball bearing mounted wheel design provides high accuracy at high and low air velocity. 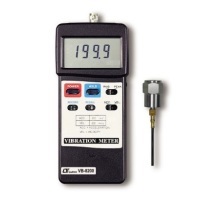 * High precision humidity sensor with fast response time. 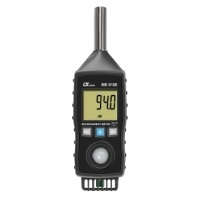 * Build in baro sensor for the atmosphere value and altitude measurement precisely. * Built- in microprocessor circuit assures excellent performance and accuracy. * Concise and compact buttons arrangement,easy operation. * C/F detection by pressing button on the front panel.